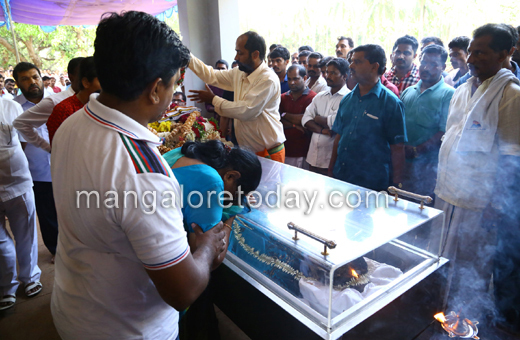 Mangaluru, March 15, 2015: Mangalore-based IT professional Prabha Arun Kumar who was stabbed to death in Australia was today cremated amid poignant scenes at her native Amtoor. 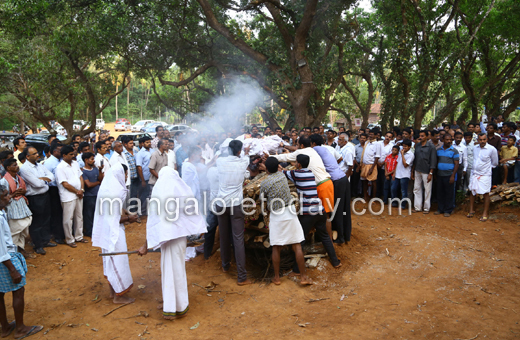 Her husband Arun Kumar performed the last rites and lit the pyre after a large number people paid their tributes. 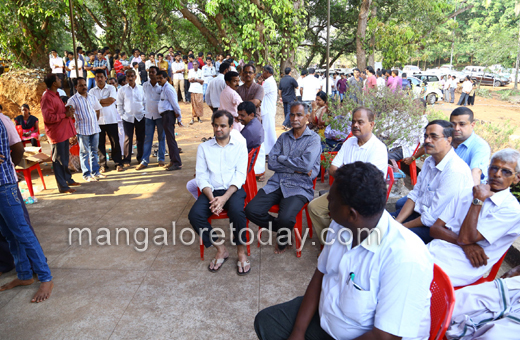 Prabha’s daughter Meghana was also present. 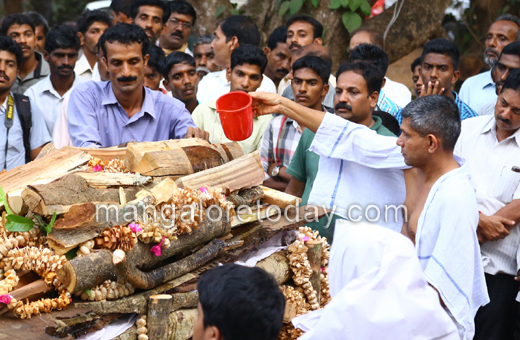 "The final rites began at Amatoor by 5.30 PM and the body was creamated by 6.20 PM," family sources said. 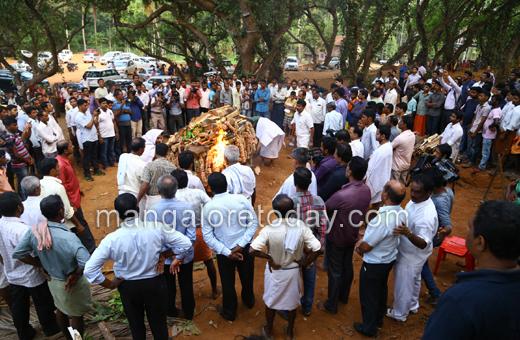 Earlier in the day, the body was kept at her home till 4 PM for the public to pay homage. 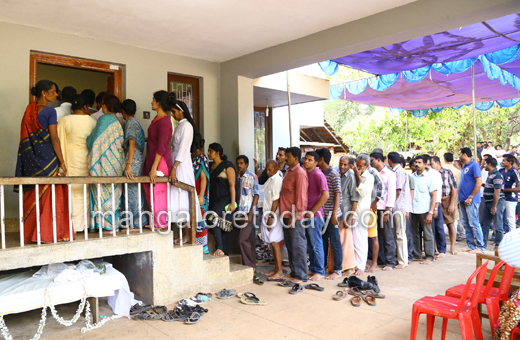 Thousands of people came for a last glimpse of the IT consultant in her native village, about 40 kms from Mangaluru. 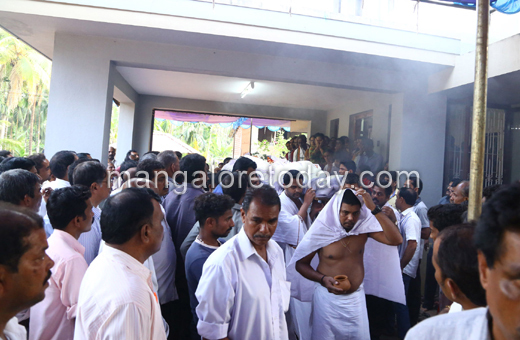 Dakshina Kannada district-in-charge Minister Ramanath Rai and Health Minister U T Khader were among those visited the house to offer condolences. 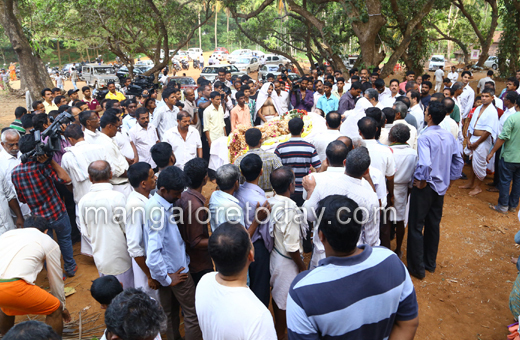 Prabha’s body was brought to Mangaluru this afternoon by a special flight from Bengaluru. 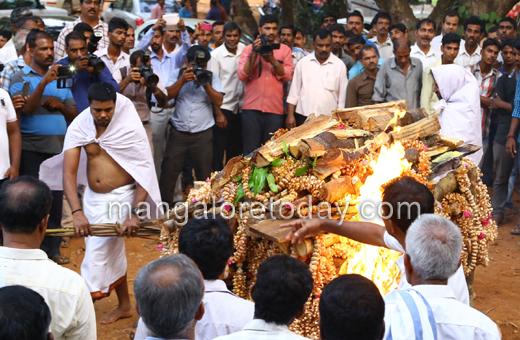 The body was later taken in an ambulance to Amtoor for performing the the final rites. 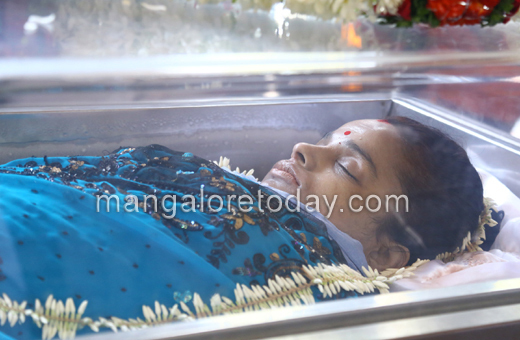 The body of the 41-year old Prabha arrived in Bengaluru last night by a Singapore Airlines flight. 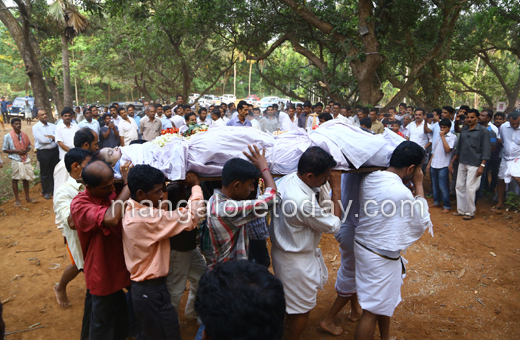 Prabha, sent to Australia on a three-year deputation by MindTree company, was stabbed to death by an unidentified assailant while walking towards her home in Sydney at about 9.30 PM on March 7. 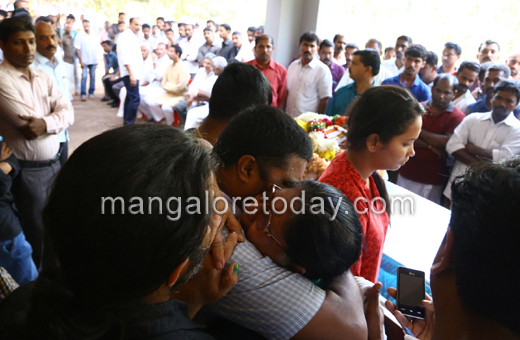 She was talking with her husband over phone when the fatal attack took place. 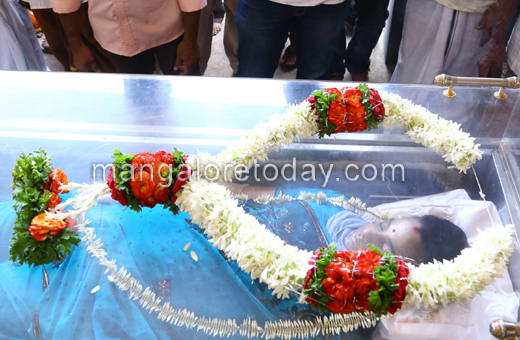 Karnataka Home Minister K J George, Union Ministers and BJP leaders H N Ananthkumar and D V Sadananda Gowda were among those who paid their tributes to Prabha when her body was kept at her relative’s house in Bengaluru this morning. 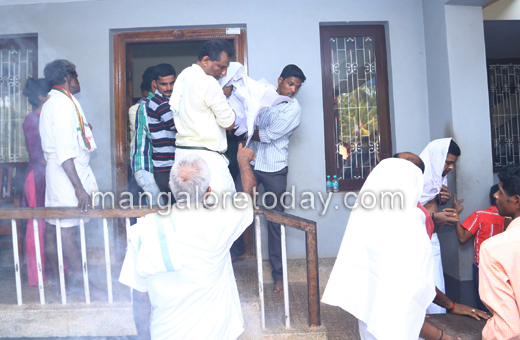 Terming it "a very unfortunate incident", George said, "Our External Affairs Ministry has already taken up this issue with the Australian government. We are confident they will take all the cautionary measures". 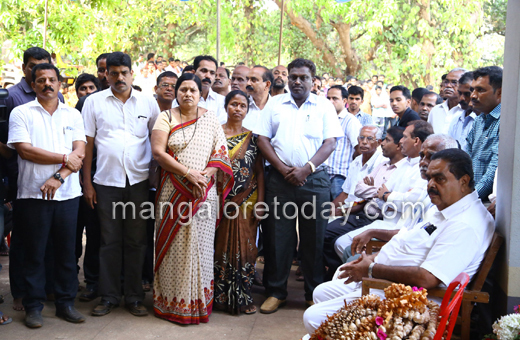 Prabha was the daughter of progressive farmer Mahabala Shetty and Sarojini, residents of Amtoor. 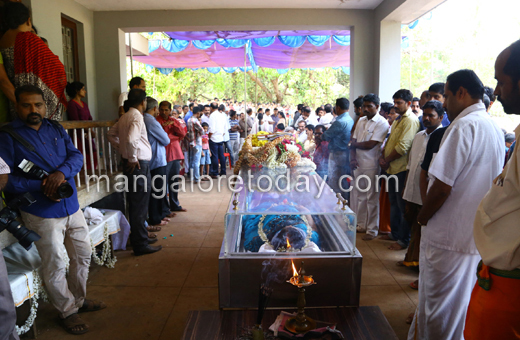 She studied in Mangaluru and Sullia. 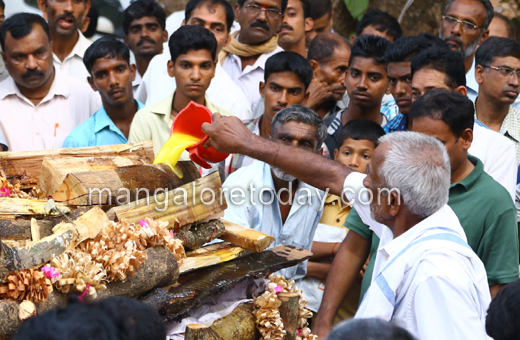 She married Arun Kumar 12 years ago and their daughter Meghana stays with her father in Bengaluru. She was scheduled to return home in April this year.